Surgical treatment of idiopathic intracranial hypertension (IIH) includes cerebrospinal fluid (CSF) diversion procedures most commonly lumboperitoneal (LP) shunt. LP shunt addresses the cause of both headache and papilledema more directly by effecting a global reduction of intracranial pressure. Twenty-two cases were included in the study. All patients underwent clinical, imaging, and CSF manometry evaluations. All patients showed failure or noncompliance to medical treatment and necessitated placement of an LP shunt. Analysis of data was conducted and evaluation of outcome was assessed. Among 22 patients who underwent LP shunt placement for IIH, 16 (72.8%) patients had severe and fulminant opening CSF pressures with values of more than 400 mmH2O. Among this group, 19 (86.4%) patients reported recovery of their headache and 16 (72.7%) patients showed complete resolution of papilledema. Shunt complications included two (9%) cases of shunt infection that required shunt extraction and antibiotic therapy, and six (27%) cases of shunt obstruction that required shunt revision. Manometric predictors for surgical treatment of IIH may include severe and fulminant opening CSF pressures as well as poor manometric response to repeated lumbar taps. Lumboperitoneal shunt is easy and effective for treating intractable headaches and visual impairment associated with IIH. Its usefulness can be optimized by meticulous technical placement of the shunt guided by rigorous protocols for shunt procedures. The pathogenesis of IIH or pseudotumor cerebri is still unclear and its treatment is a challenge. Conservative therapy includes the application of acetazolamide, corticosteroids, furosemide, coproxamol, and weight reduction. Various neurosurgical approaches have been proposed and applied, including optic nerve sheath fenestration, venous sinus stenting, venous bypass surgery, and CSF diversion techniques. As the authors emphasize, it is difficult to recommend an appropriate treatment strategy since the pathophysiology of IIH is not completely understood. In the last years, the application of lumboperitoneal shunts gains importance and seems to be effective in patients with severe headache and visual impairment with the risk of loss of vision. However, shunt malfunction related to obstruction, dislocation, or infection remains a problem especially in obese patients. 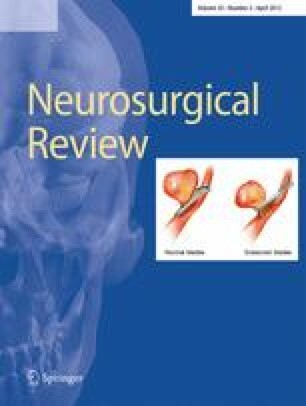 In conclusion, this paper is a valuable contribution to a rational surgical treatment of idiopathic intracranial hypertension. The lumboperitoneal shunt system should be applied in patients suffering from IIH when medical treatment fails.